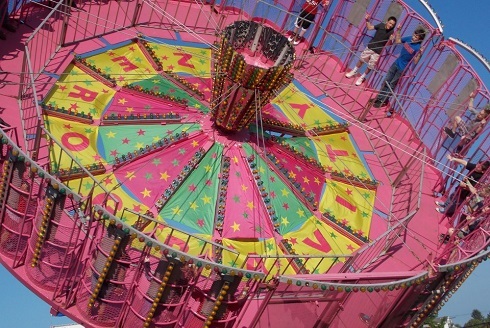 According to the Meadowbook Mall Web site, Gambill Amusements will bring its carnival to Meadowbrook Mall Sept. 19-22 (Wednesday through Saturday). Set up in the parking lot behind the mall, the carnival will be open 6-10 p.m. Wednesday and Thursday; 6-11 p.m. Friday and Saturday sessions will be 1-5 p.m. and 5-11 p.m.
Visit meadowbrookmall.com for updates and additional event information if and when it becomes available, as well as for all mall-related information. Editor's Note: Photo is courtesy of Gambill Amusements Facebook page.